What if drinking wine could improve drinking water? Now it can! We are thrilled to create a partnership with Wine to Water, a charity dedicated to bringing sustainable clean water solutions to villages around the world. The organization was started by Doc Hendley, a bartender from North Carolina who joined the fight to make clean water accessible to everyone in the world. Hendley's book, Wine to Water, chronicles the history of the organization and his experience bringing safe drinking water to villagers in Darfur. Water-related diseases claim more than 3.5 million lives each year, with children being especially vulnerable. Water wells built, repaired, and maintained locally decrease the time spent fetching clean water, which takes hours each day for women and children. This causes fewer work hours and missed school time. These projects increase economic self-sufficiency, education, health, dignity, and justice. We are proud to be a supporter. CLICK HERE to watch us on the crush pad bringing in our 2018 Alta Mesa Malbec. Processing our 2018 Malbec. Loving the dried blue fruit and natural coco profiles Ron Silva's vineyard showcases consistently each vintage. After 12 years of chasing the elegant, cool-climate style of lower alcohol Zin, we've found our savage. We've turned up the volume on our famed Pitts Home Ranch Estate Zin from the elegant 13.8 to14.4 percent alcohol to the sledgehammer level of 16.4 percent. Duck--this Zin is coming out swinging. As I swirl this monster, thick, slow-moving beads of glycerol trail the electric red wine on the inside of the glass. The fruit is open and flirtatious with gobs of candied-red cherry and faint black pepper flowing off the rim. The tannins play a supporting role to the glycerol and voluptuous mouthfeel. 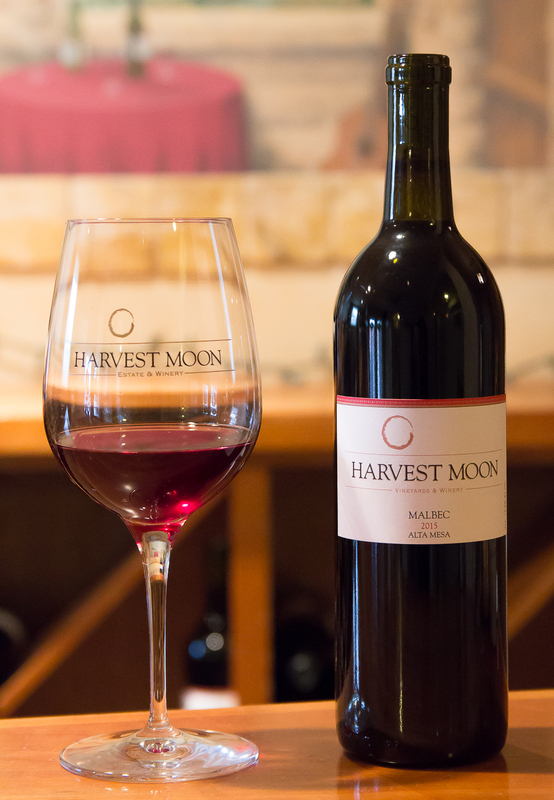 But in the classic Harvest Moon Estate Zin style, this wine is filled with huge, deep red and dark fruits, swirling around a gentle peppery core. This is not a shy wine, folks. Since the corporatization of wine, all wines have seen a moderate to significant increase in ripeness in grapes coming off the vine--creating much higher alcohols levels. The bigger is better mentality has crept into our daily lives slowly and incrementally--bigger cars, houses, parking spaces, plates, wines . . . While I wrote this, I thought of the saying "If you can't beat them, join them." I concluded it wasn't accurate here. 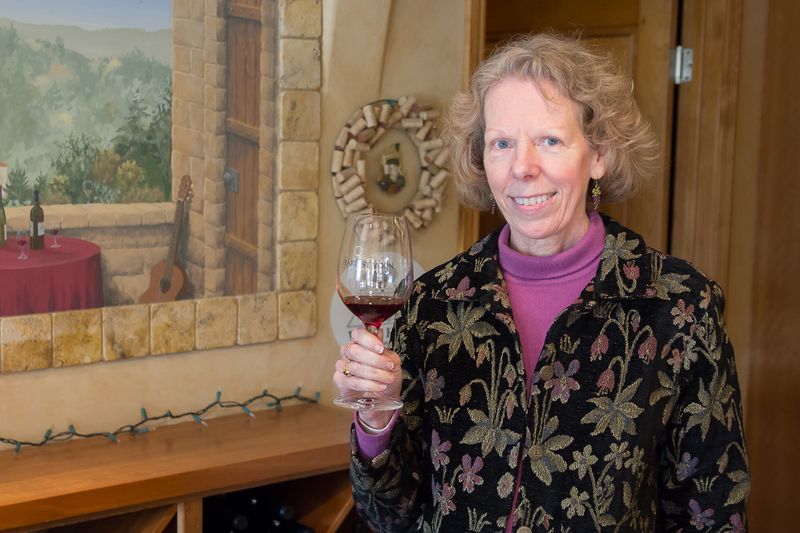 I feel after spending the past decade plus of my life imagining and slowly crafting the elegant side of Zinfandel, I did accomplish what I wanted—to tame the beast we wine geeks call ZINFANDEL. 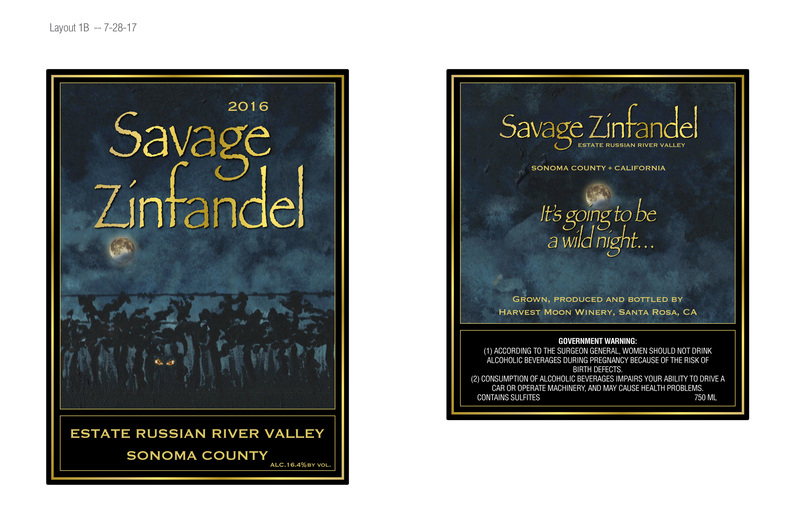 Although I'm not convinced that bigger is better with regard to wine and grape sugar levels, the Savage Zin will satisfy the animal in all of us. This is not a weekday wine. Pop the cork and decant this monster Zin and howl on those full-moon nights. Release the savage!!!! Ready in our winery this fall of 2017. It's going to be a wild night! What does “Estate” really mean on a wine label? What does the term “Estate” on a wine bottle label really mean? In a few words--grown, produced and bottled--encapsulates the concept. However, these three words don’t really cover all that is entailed in producing an Estate wine. To label a wine “Estate” you must make the wine from start to finish at the winery from grapes grown or controlled by the winery. At a small winery, that could mean that the guy who sells you the wine in the tasting room also pruned the dormant vines in January, worked the vineyards during the growing season, harvested the grapes in the fall, assisted in getting the precious clusters to the winery, crushed the grapes with complex (and expensive) equipment, performed fermentation management, handled the wine in barrel for its aging process, and put the finished wine delicately in the bottle. Universities call it a “seamlessly integrated business model.” I call it a lot of hard work requiring a vast amount of knowledge, skills and abilities drawn from different industries. When I thought about examples of other businesses as complex and dynamic as winegrowers producing Estate wines, I came up with very few. Christmas Tree Farm: The owner grows trees his property. The trees are processed (cut and loaded) on that same dirt and retail clients come to that farm to purchase their seasonal holiday centerpieces. This fits the rough definition; however, I would argue that this is hardly a complex business model. Estate Designer Clothing: Imagine a woman (or man) growing cotton and other textile materials on her plantation. She picks the cotton and processes it to make fabric. From this fabric she crafts unique, small-lot jeans, shirts and socks on the property. People come from all over the country to try on her jeans and have them shipped to their homes, or she ships her products to distributors to sell. THIS is very similar to what we do, except it is wildly outlandish and currently not happening. Whenever a part of the process is passed on to a different entity or person, there’s the room for the ball to be dropped. In winemaking, that means loss of quality, whether it’s muted aromas, angular taste, off color or weird finish. Wine growing and production is not for the meek, but it’s a career that rewards those who invest the time, energy and money needed to pull it off. 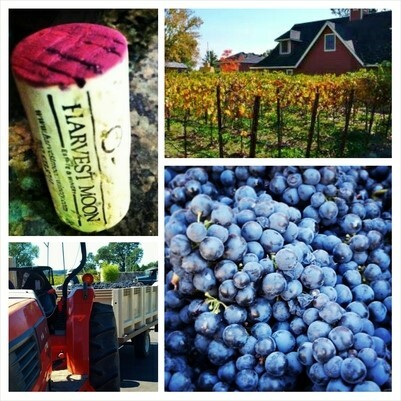 The point of this blog is to highlight the complexity of what small, family-run estate wineries deal with daily. Making Estate wines requires knowledge, skills and abilities to maintain equipment, train employees, and manage the facilities to make a unique product that stands out from the other 200 (friendly) competitors in the area. So as a recap: "Estate" means the winery and vineyards have to be in the same AVA, have to be controlled or owned by the winery, and the wine has to be made from start to finish at the winery. CLICK HERE to watch as Randy takes us through a walk in the vineyard to chat about grape pollination. Where did you grow up? I grew up in a very small town in Wisconsin about 40 miles from Madison. Where/what did you study in school? I went to UW-Madison, where I was a Political Science undergrad and a Business grad. How long have you worked with us? I started at Harvest Moon in late August. When did you get into wine and why? I started working in the wine industry 4 years ago because I love wine and love to see people enjoying it! What is your favorite varietal? I like most red wines. My favorite depends on what I'm eating. What do you do when you aren't at Harvest Moon? I read mysteries while sitting with my two cats. I also knit and quilt. Favorite sports or past times: I'm a huge Steph Curry fan and like to watch the Golden State Warriors. I'm also a cheesehead and watch the Packers when their games are televised on the West Coast. What is your favorite: -song: "Eugene" by Pink Martini -book: I have lots of favorites! Some of my favorite authors are Jacqueline Winspear, Anne Perry, Elizabeth Berg, Alexander McCall Smith. -movie: I love 40s movies. My favorite is "To Have and Have Not" with Lauren Bacall and Humphrey Bogart. I also love the Thin Man series. Why do wineries put a foil over the cork and neck of a wine bottle? I actually googled it and found lots of reasons. Some I found legit and others were more marketing and tradition. The reasons I finally decided to stop foiling my wine necks were numerous. After 14 years of crafting small-lot wines, I found that foils obscure possible cork flaws, they're expensive and they're not environmentally conscious. 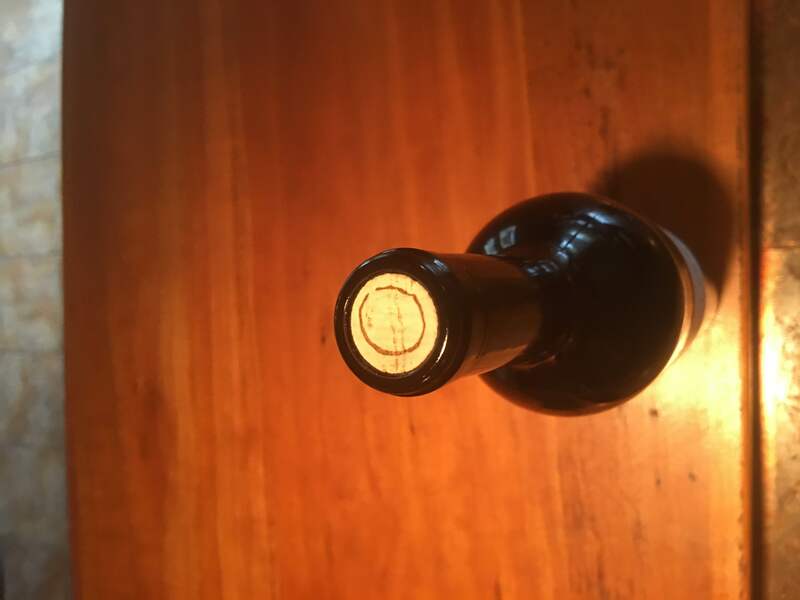 When we pull a bottle to either sell in the tasting room or include in a shipment, if we can't see the cork we might be sending out a bottle with a cork that has leaked, which often causes cork "taint" in the wine. Note: Leaking corks are as natural as the cork itself. All corks have a percentage of leakage no matter the quality of the cork. The vast majority of wine people would agree that natural cork is still the BEST closure for the long-term aging of dry wine. Having said that, ALL CORKS leak. One reason for foiling is that it helps keep the cork out of direct sun, which maintains some moisture in the upper part of the cork. I'd refute that by offering that if the wine is of any quality at all, the wine would not be left in the sun and always stored on its side in order to keep the cork wet. I invested the money I saved by not foiling in much higher quality corks. I believe this will translate into fewer leaky corks, less possibility of "taint" (wet cardboard, musty odor/flavor) in the wine and a more aesthetic-looking cork. So the next time you see a Harvest Moon or other small producer's bottle bearing a naked neck, know it's both green and a great way of assuring the the cork is of sound quality. It's never to late to learn something new ... and for us, that is making sparkling apple cider from our backyard apples! The celebrated botanist and horticulturalist Luther Burbank spent most of his life in our community and his farm in Sebastopol now houses a community apple press (http://www.slowfoodrr.org/projects/sebastopol-gravenstein-apple-presidium/sebastopol-community-apple-press/) where we pressed our own estate apples for the first time. Sydney has dreams of recreating the dry sparkling cider she drank daily in Brittany, now under fermentation. What bounties are in your summer/fall garden and local community? When we hear you say "Shipping wine" there's a little part of me that becomes happy because that means that our wines were tasty enough for you to want to send those bottles of deliciousness home. When wineries talk wine shipping, there's a hundred or so things firing off in our minds. These include the ship-to state, data entry accuracy and IT issues, packaging, dealing with UPS or Fed Ex, printing labels, assembling the wine, and fair pricing. The most important issue for the small producers is WEATHER, including seasonal extremes and anomolies that seem to occur more and more often. Having our clients like our wines enough for them to place a shipping order is key (hailing from a sales perspective); however, the actual logistics of getting the correct wine in the box and in the truck for a safe, timely arrival is paramount. It takes from 1 to 6 business days for UPS to reach you and even longer if the wine is shipped "third party." Wine shipped to extremely distant locations like Miami and the upper Northeast will probably sit in a truck or UPS warehouse for a weekend. If that wine experiences freezing Midwest storms or crazy hot southern heat spells, there's a good chance that it will suffer and might not taste the same as you remember it or as the winemaker intended. Here's the worst case scenario. You open the wine for friends, family or a boss. You take the mic for the 2-minute presentation about how you went to the winery, pet the wine dog, tasted with the winemaker and joined the club and here's the wine that's been resting in your cool, dark cellar since. You pull the cork and WHAM, the cork pushed, it tastes cooked, or just, "off." You look bad, the winery looks worse and no one is happy. The hope for this post is that PATIENCE will ensure when the revisit of your wine country vacation happens. We want to get your wine to you as soon as possible WHEN the weather permits. We watch the weather in your zip code like Luna watches the parking lot for visitors. We're on it. We just need to ensure the weather not just in your specific zip is acceptable but the entire path that wine will take in arriving at your home or business. When we do begin to process your order, we create a shipping tag and UPS notifies you that a shipment has been created and gives you your tracking number. We strongly encourage you to sign onto UPS and track the status of the package. You'll have a much better idea of where the wine is in the shipping process. Once the label is printed, the UPS page will read "shipment created," but this doesn't mean it has left the winery yet. You'll need to check back and look for "shipped." At that point you'll be able to see where the package is as it moves along the route. You get three chances for UPS to deliver your wine. If you miss all three delivery attempts, it is sent back to the winery and we’re charged for the return trip. Most wineries charge the client to have the wine reshipped. 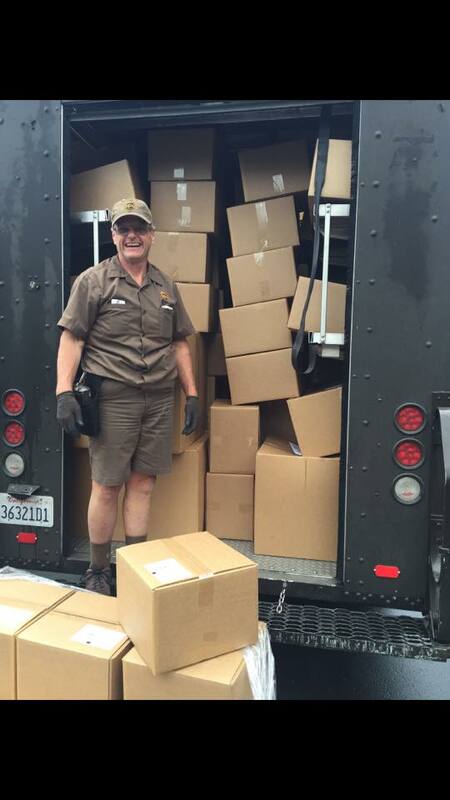 A great way to avoid this is to have us ship to a business address. This way UPS knows there'll be someone 21 years or older to sign for the package. Remember, it may be the nectar, but it's boozy nectar. When the package does arrive, we recommend allowing the wine to rest in the shipping box in a dark, cool spot for a few weeks. This gives the wine time to settle down and restabilize itself. If you have a wine refrigerator, I'd pull the wine from the box and place immediately inside it. So the next time you place an order for your favorite small winery's liquid love, please be aware of this: as the farmer in me knows, the weather dictates ALL. A guest blog from our Collin, who started with us in the Tasting Room two years ago, and is now a world traveler! 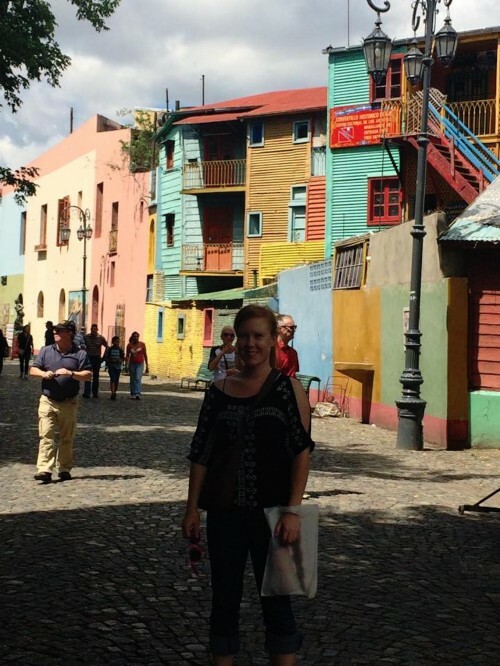 Here's an update on her experience working at a winery in Argentina. It’s been over a month now in this beautiful city of Buenos Aires, the city that never sleeps. Street vendors fill the streets with all sorts of meat, empanadas, heladeria shops. “Open 25 hour” drug stores line ever block while taxi drivers and bus drivers drive erratically down the streets. Ive been working for a place called Anuva Wines (:https://www.anuvawines.com/wine-tasting-best-wines-best-people/), a wine tasting service that sells limited production boutique wines guided towards tourists. It has only been since the last 10-15 years small wineries have really started to gain some recognition in the industry. I’ve been tasting Bonarda, the “secret” grape of Argentina, Torrontes, the “holy grape” that’s only grown in Argentina, Malbecs and other varietals. Out of all the wines I’ve tasted, Torrontes is winning for me. So far on this trip, I’ve visited Tigre located one hour north of Buenos Aires, where I took a boat ride along the Tigre River. Tigre is its own little community, isolated from the main city surrounded by palm trees, where I also visited the fruit markets. The shops seemed endless and I spent at least three hours walking through the fruit markets and souvenir shops. Plenty of street fairs line the streets of San Telmo, at least 20 blocks worth of walking. Which brings me to my next trip; I can’t wait to travel to Mendoza in 2 weeks. I will be going on two different winery tours one day and exploring the hills of Penitents’, Uspallata Valley, taking a walk to Horcones Lagoon and all through the mountains the second day. I’ll also being going on a trip to Iguazu Falls the week before. The waterfalls of the Iguazu river divide the province of Argentina and Brazil. I’ll be taking a trip to Iguazu National Park as well, featuring a subtropical jungle with thousands of different species of mammals, birds and insects. When my trips come soon enough, I’ll make sure and post another blog. But so far with wine, Sonoma County wines take the lead.